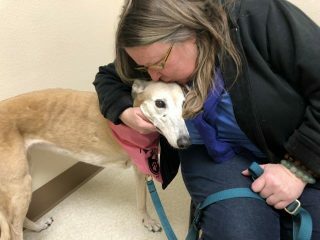 What’s it really like to be in a canine cancer clinical trial? 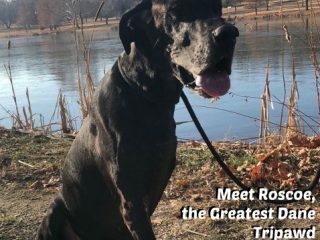 Find out from Connie and Bowie who share their osteosarcoma vaccine experience. 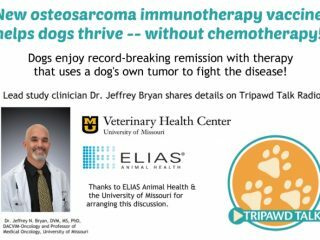 Confused about the new immuno-therapy for bone cancer? 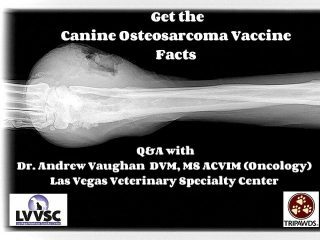 Get the canine osteosarcoma vaccine facts from Dr. Andrew Vaughan of the Las Vegas Veterinary Specialty Center. 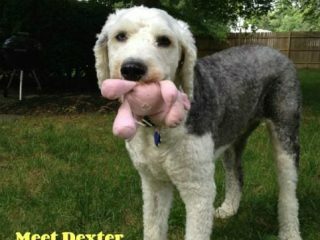 New AT-014 Canine Osteosarcoma Vaccine helps cancer dogs like Dexter beat the survival odds after amputation and chemotherapy.